HotSpring Watkins 65 Sq Ft. SPECIAL: Five (5) PACK of Tri-X Filter 65 sq. Filters Tri-X Filter 65 sq. 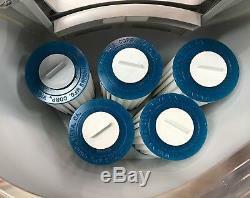 Filter For Hot Spring Spas (Item # TRI-X, 73178) This Polyethylene fiber cartridge filter, manufactured by Porex Plastics was introduced in the 2005 Hot Spring high performance spa models (Vista, Grandee, Envoy, Aria Models). In 2006 the Tri-X became available as a replacement for the common polyester / paper filters. (Note: Imprinted on Tri-X Filters is PN 096960, but Watkins PN is 73178). The unique design enables it to filter twice the water per minute than a common filter. You dont have to clean it as often either! This filter can REPLACE the 71825. Dimensions: Diameter 5 14/16"; Length 10 1/4"; Hole 2 2/16. 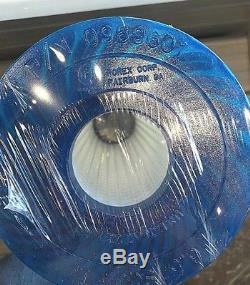 (This listing considered a single item listing, consisting of Qty 5 filters). Do NOT use heat drying cycle. 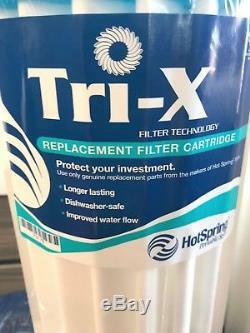 No more spraying off your filters outside in the dead of Winter! Thank you for visiting our store. On ORDERS of any TWO (2) Items Totaling. Tracking information included on all orders. If you DO NOT see an item that you NEED for your Hot Spring Spa, please inform us! We may just have it! Subscribers to our store and receive "Private Subscriber Discounts" news-blasts. Let us know if you need product overseas or across borders. We'll see what we can do (no chemicals sales internationally -- only parts, accessories, miscellaneous)! These are the buyers responsibility. We aim to please our goal is to get you back in hot water, enjoying your spa! 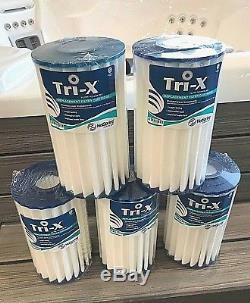 The item "Tri-X Filter for Hot Spring Spa NEW TriX Filter 5-Pack 73178 (096960)" is in sale since Friday, July 13, 2018. This item is in the category "Home & Garden\Yard, Garden & Outdoor Living\Pools & Spas\Spas & Hot Tubs". The seller is "spaguys247" and is located in Prescott, Arizona. This item can be shipped worldwide.